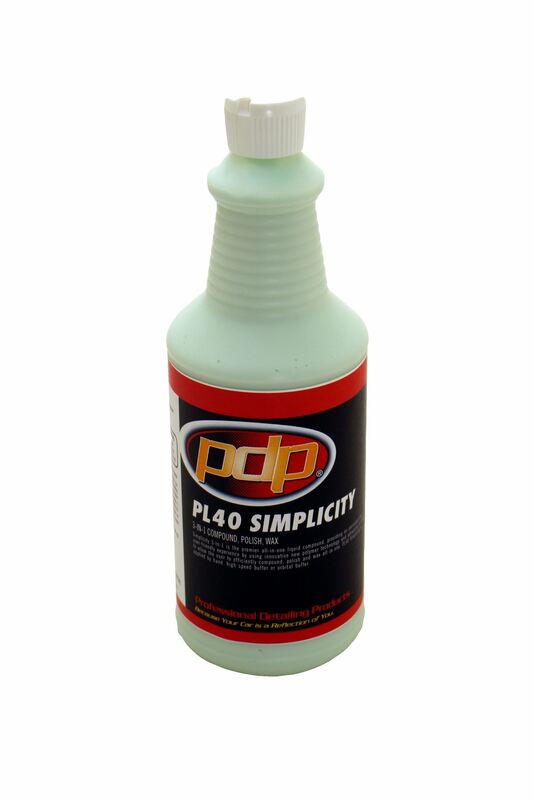 Simplicity 3-In-1 is the premier all-in-one liquid compound, providing an unrivaled and user-friendly experience by using innovative new polymer technology and abrasives in order to allow the user to efficiently compound, polish and wax all in one. PL40 Simplicity is applied by hand, random orbital, or rotary polisher. Remove 1500-2000 grit sand scratches, polish the clearcoat to high gloss, and protect with 90 day durability (more or less depending on environment) in one step. Great for production work, producing a great result and saving man hours. For best results, use a Rupes Mark III (15mm or 21mm) with a wool pad.